Two people are recovering from injuries sustained in a Monday morning crash in Isle of Wight County. The March 6, 2017 accident occurred at the intersection of Route 10 and Old Stage Highway around 6 in the morning. While it’s not immediately clear what led this incident happen, we do know that two people were injured in the collision. East and westbound lanes were closed as workers cleaned up the debris left by the incident. No word has been given on the condition of the two injured victims. Virginia State Police say they are still investigating this accident. No charges have been filed against either driver involved. We’ll be curious to see what the investigation reveals. In the meantime, we wish the victims a speedy, complete recovery. This largely rural area is ripe for accidents. With speed limited to 45 miles per hour, many local drivers travel far faster than the posted signs allow. Accidents can happen when a speeding driver happens upon a car slowing to turn or stop for a hazard in the road. Of course, at this point, it’s impossible to speculate as to what exactly might have gone wrong – that’s why it’s so crucial we wait for the investigators to report their findings. In the meantime, accident victims who believe their injuries were caused by the negligence of another driver should consider reaching out to a Virginia car accident lawyer. 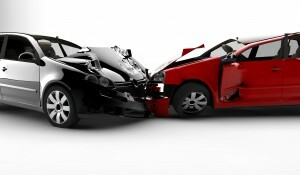 Experienced personal injury attorneys can provide the insight necessary to make the difficult choices that often come with serious car accidents.